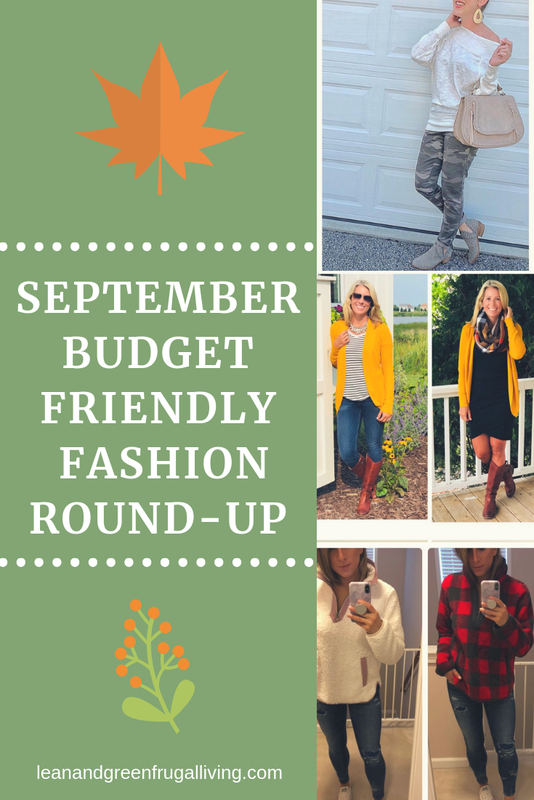 I'm focusing on some fun Fall fashion trends for this month's Budget Friendly Fashion Round-Up. This post is quickly becoming my favorite to put together! I love looking at what everyone else is wearing and loving at the moment. I'm also living vicariously since it is still SO stinking hot here in Florida and I'm jealous that everyone else up North can already bust out their Fall clothes. This month's post is even bigger and I hope you enjoy reading it as much as I enjoyed writing it! 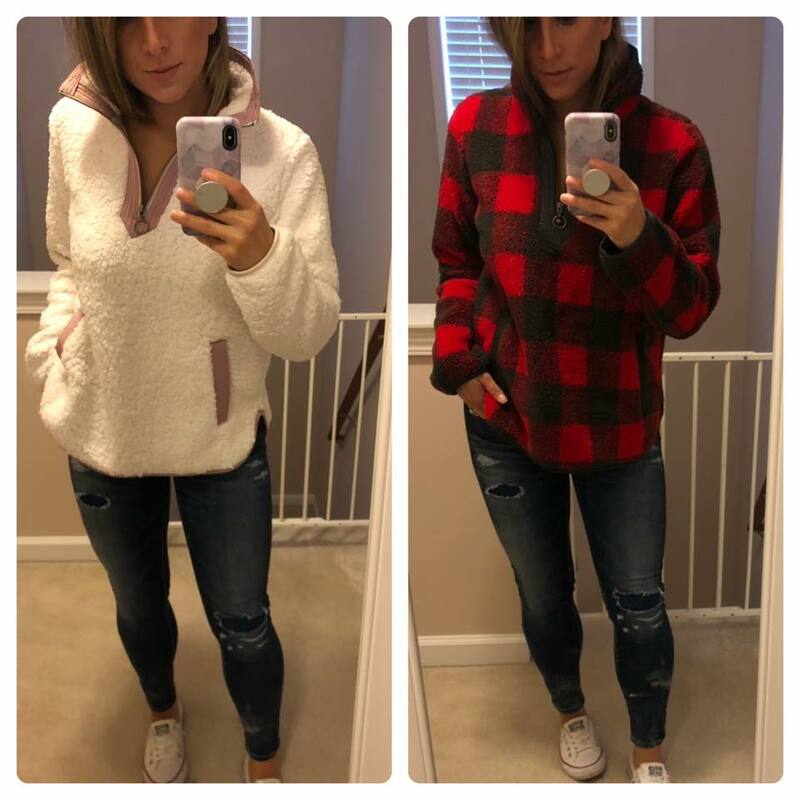 Toni's sherpa pullover from Abercrombie and Fitch is ALL OVER Instagram right now. Sherpa is going to be a huge trend all the way into Winter 18/19 I think. Toni love this one so much she bought it in TWO colors! She says it's super soft and cozy. She paired it with American Eagle jeans and Converse Shorelines (Which I ADORE!). Rust is is another color that is going to be very popular this Fall! If I'm being honest it's never been my favorite but the pieces I'm seeing are more of a paprika tone and have been really beautiful. 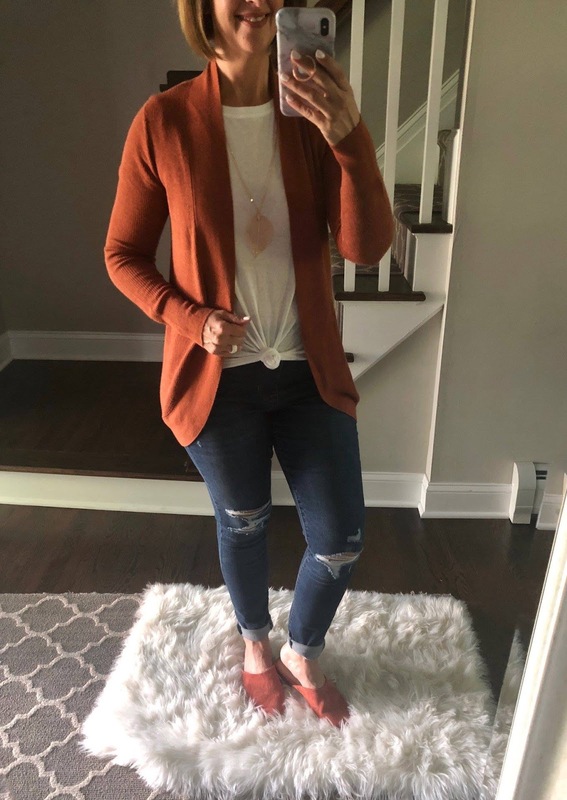 Donna's rust colored cardigan from Target is a great example of this "new rust." I can't believe how perfectly her mules go with this outfit! 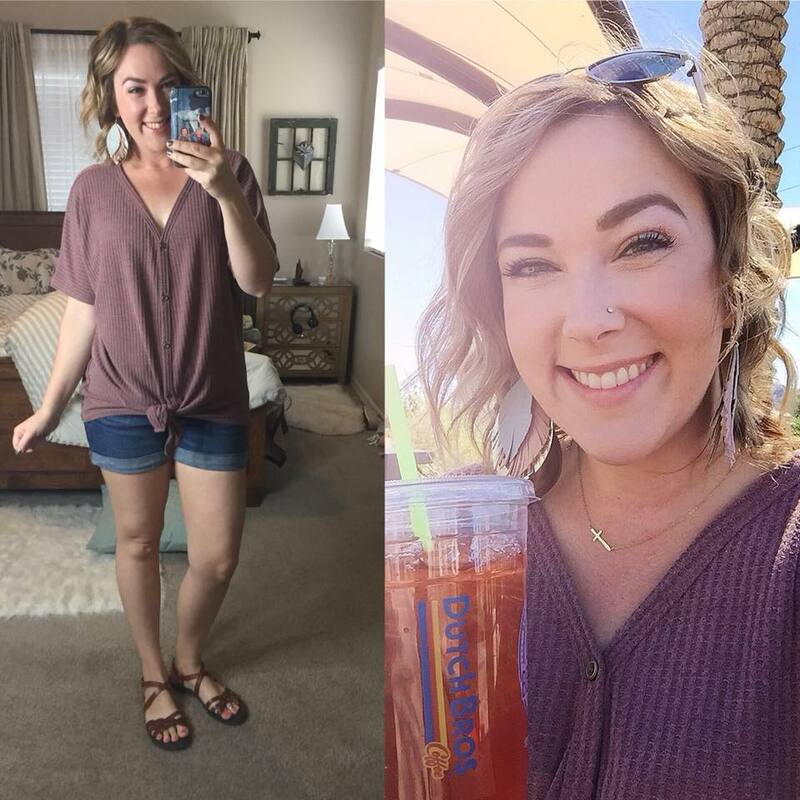 Her necklace is an Amazon find and her pull on jeans from Old Navy have been making waves in a bunch of mom groups I'm in! Cynthia has been raving about this sweatshirt she found on Amazon. I love this selfie she took because she already has Fall leaves! I'm so jealous! The button detail on the sweatshirt is really cute and it comes in a couple different colors. 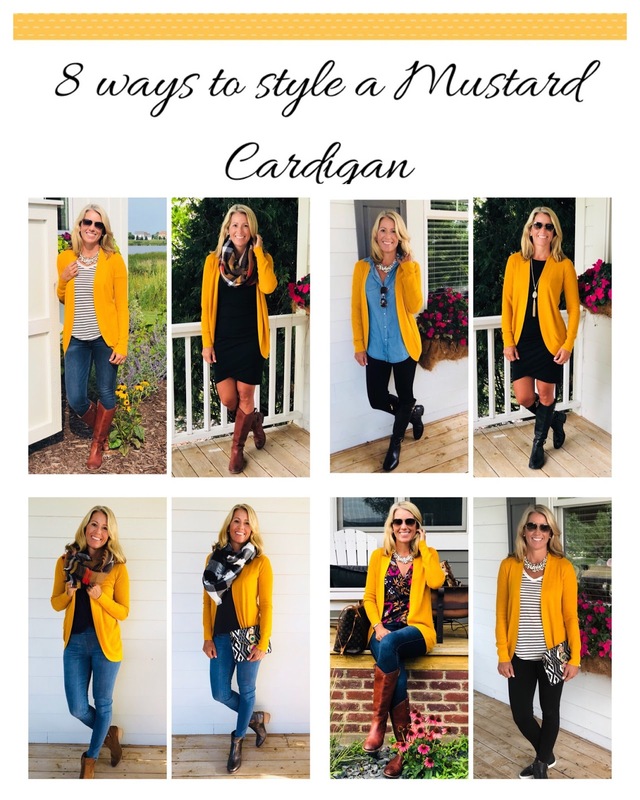 Heather wanted to feature this post on how to style a mustard cardigan 8 ways. Mustard is huge this Fall and I'm loving the golden/marigold colored pieces that are coming out. Heather's cardigan is from Target and a steal at $22.99! She recommends sizing down. I love every single look she created with it. She has a great mix of high and low so you are bound to find something you like at any price point. I LOVE this flat lay Erin put together! Her Target blouse has been on my wishlist for awhile. Pair it with the Universal Thread boots everyone as been raving about. The satchel is a STEAL from Target; I love the rivets! 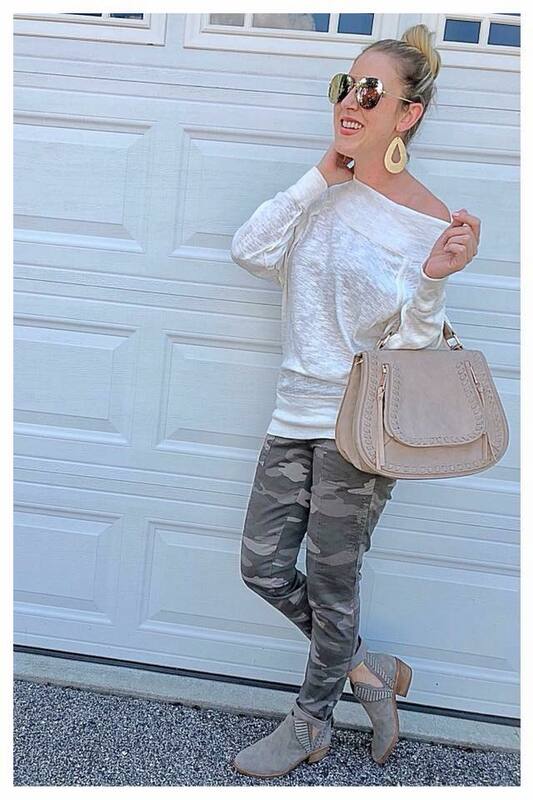 Everything Tara puts together is PERFECTION but I picked this look because camo is going to be HUGE this fall! Her camo pants from aerie are currently on sale. The Free People Palisades Off-The-Shoulder Sweater is on sale right now and she suggests sizing down. I have the same Vince Camuto booties and they are so good! Her bag is a STEAL at DSW! I love how Tina styled this Tie Front Waffle top I've been seeing everywhere! 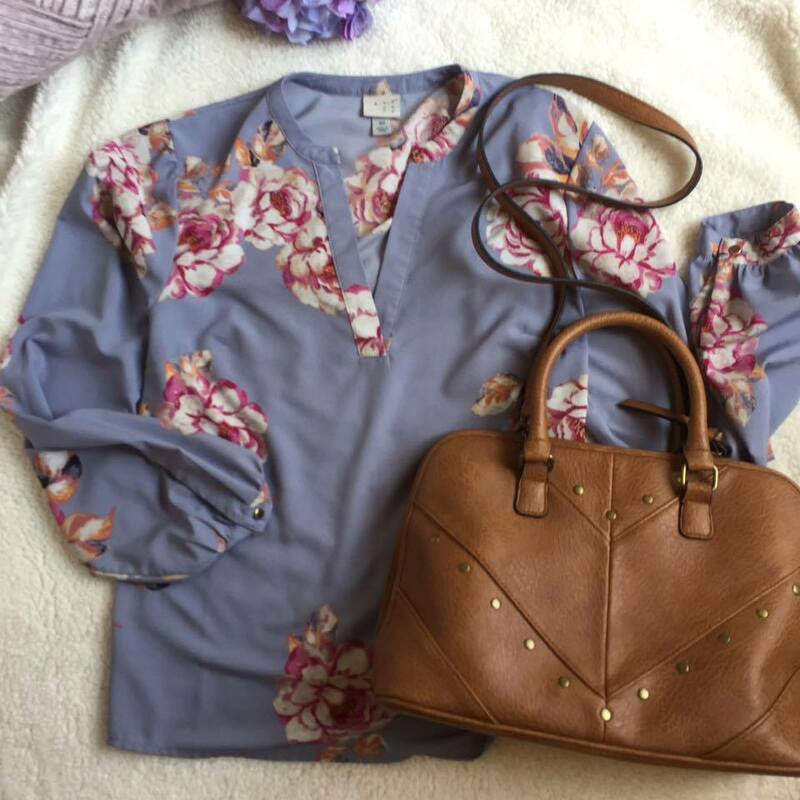 It's a great bargain buy and transitions nicely from Summer to Fall with the right pieces. You'll never BELIEVE where she got those cute sandals either! 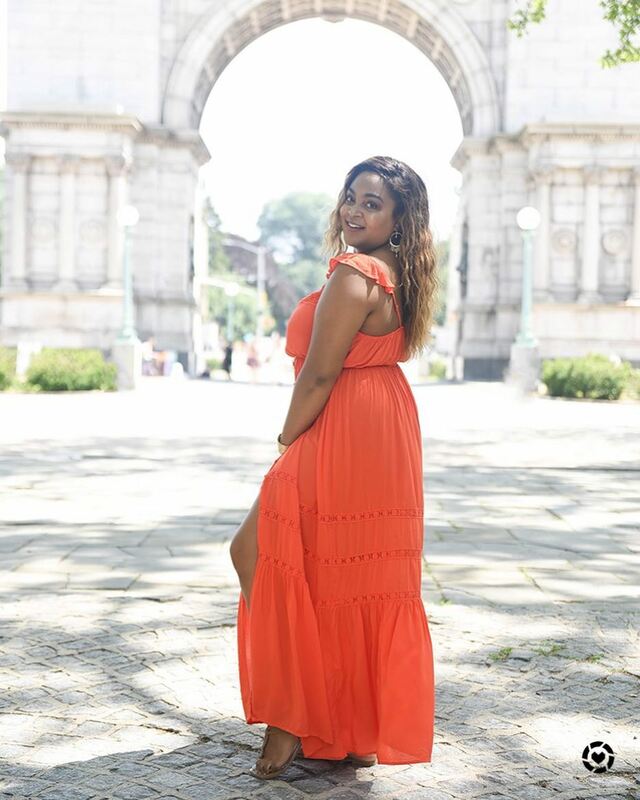 Kacie's Woven Button-Front Maxi Dress is beautiful but her photos are even more stunning! She takes them around NYC and they are always gorgeous! Her dress comes in 3 colors and could easily be paired with a jean jacket in cooler weather. Katie is so incredibly talented! I love following her. She finds pieces at thrift stores and upcycles them into one of a kind fashion finds. 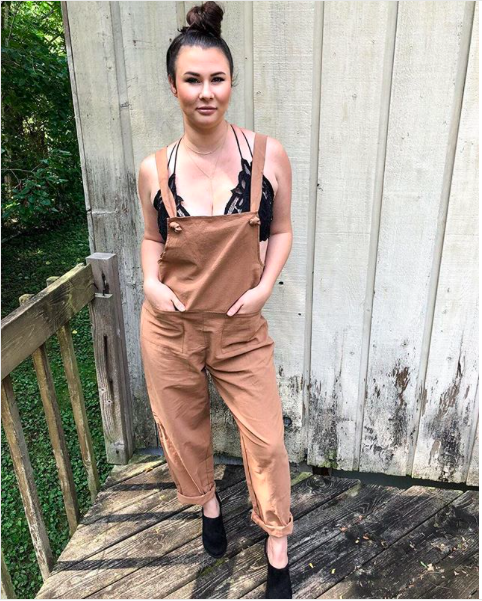 I picked this look for the round up because I just saw Mamma Mia 2 and they reminded me of Donna's Overalls. For those of us not as talented as Katie there is a Madewell pair currently on sale that will do the trick. Can't get enough budget friendly fashion finds? 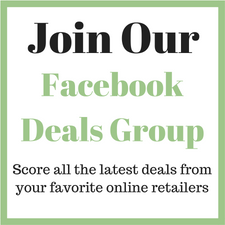 Join my Daily Deal Detectives Group on FB! Thanks for visiting Lean and Green Frugal Living! 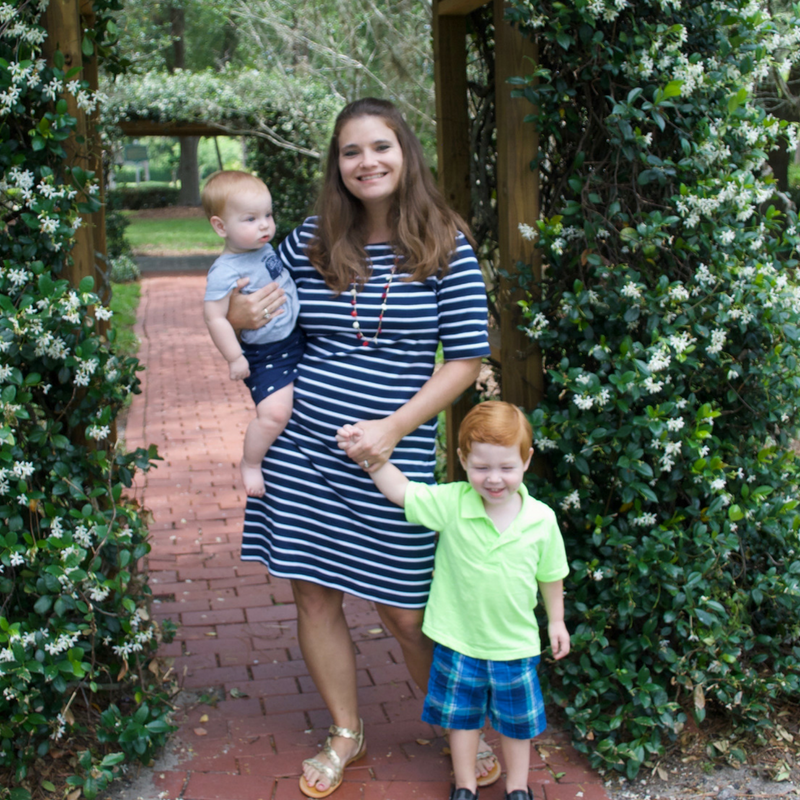 I'm Nicole and I'm a teacher, mommy, and wife doing my best to bloom where I am planted. I'm on a mission to reduce my footprint and save money along the way while still having a little fun with fashion.